There has never been a more demanding time for municipalities. Thanks to an “always on” world, residents and contractors increasingly expect immediate access to accurate information and quality service. Public leaders, too, are demanding better engagement tools for their constituents. From permitting and inspections to licensing and regulatory requirements, civic professionals are turning to Cityworks PLL to automate business services and inform decision making. Cityworks PLL continues to expand as a leader in helping communities streamline their PLL processes. Previously, Public Access allowed Cityworks users to create customizable landing pages that enable residents and contractors to request inspections. 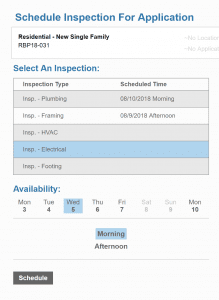 With the release of Public Access 4.0 in 2018, business owners, residents, and internal staff can now directly schedule upcoming inspections themselves—further easing the administrative burden on organizations. This new feature is easy to configure and use. First, the administrator needs to set up the inspectors and time blocks available to be scheduled. The screenshot below shows the configuration for an electrical inspection. We configured two generalized blocks of time for scheduled inspections: morning from 8:00 a.m. to 12:00 p.m. and afternoon from 1:00 p.m. to 5:00 p.m. In this next screenshot, you can see the workload schedule for Inspector J. Electric. In this example, J. 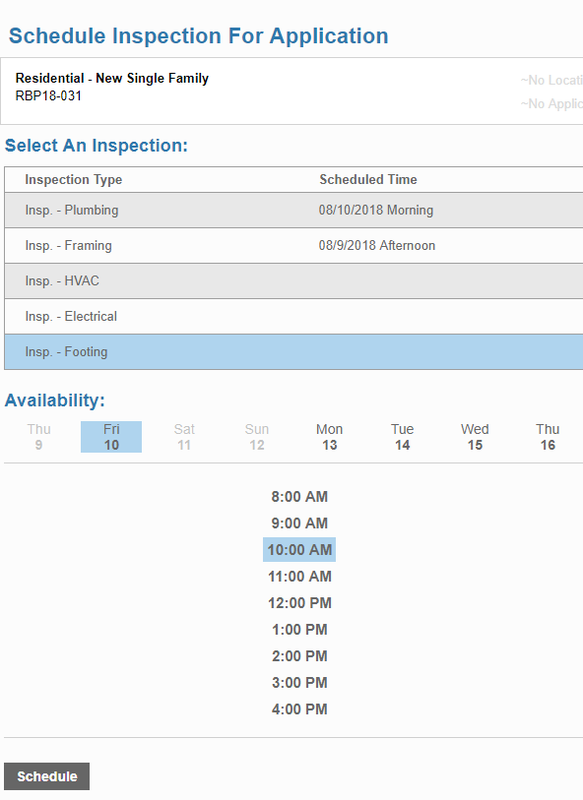 Electric can do inspections any time during the work week except Friday afternoons. 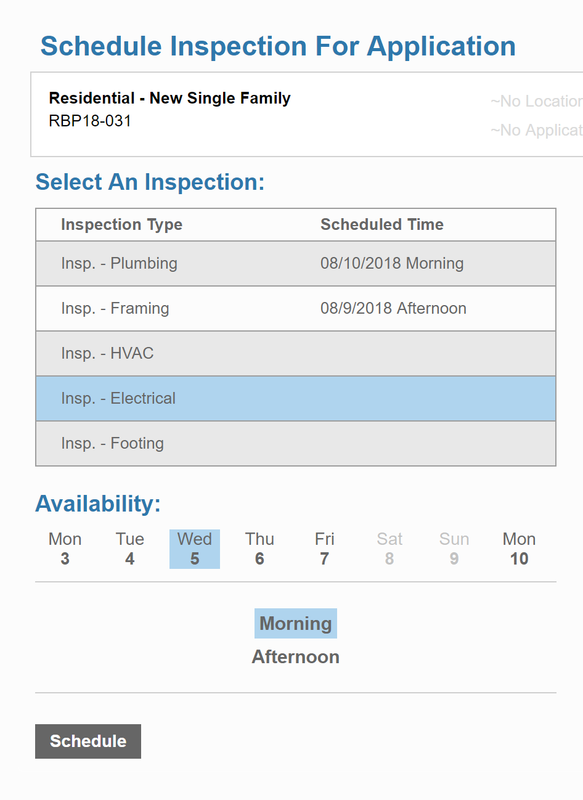 Now, when end users schedule inspections in Public Access, they may choose a morning or afternoon block according to the inspector’s availability. Alternately, an inspection may be set up for an approximate time. This works best for inspections where timing is critical, such as an inspection following a concrete pour. In this case, the Public Access user would see what times are available and be able to choose accordingly. After the users have scheduled their inspections, they receive an email or text message notification. 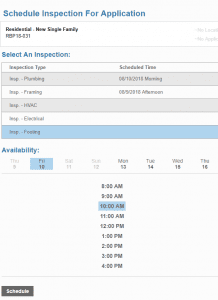 Each notification includes the details of the scheduled inspection, as well as an optional calendar appointment. The Cityworks administrator may configure the information included in the notification. Finally, when inspectors log in to Cityworks to check assignments, they will also see inspections scheduled through Public Access. Navigating government services can be daunting for both internal and external users. With the help of Cityworks PLL and Public Access 4.0, local governments and utilities can make their services more accessible to the public while also easing the administrative burden on internal staff. By Cara Haslam, Cityworks subject matter expert. © Copyright 2017-2019 Azteca Systems, LLC. All rights reserved.